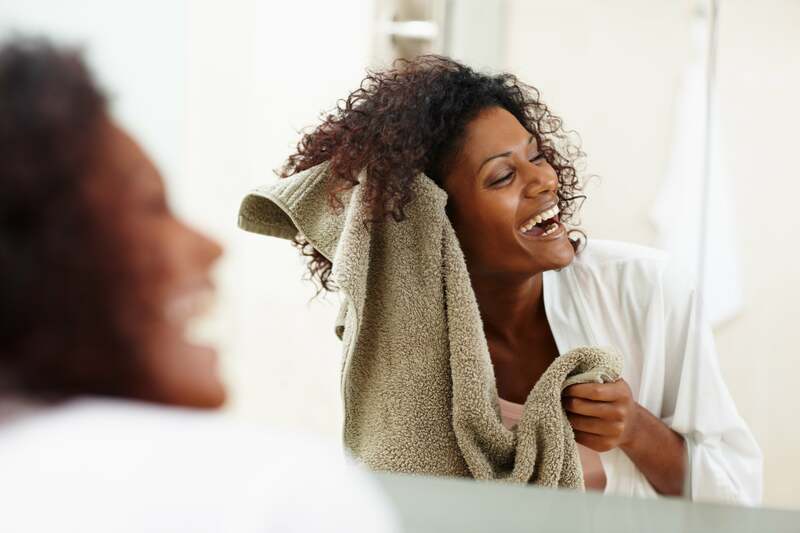 Stripping shampoo is the secret to taking your hair from goopy to squeaky clean. If you’ve ever suffered from lifeless, lackluster hair (raise your hands, everyone! ), then you know how tedious it can feel to wash your hair over and over again, only for the same oily result. Because while we’re blessed to live in a time when dry shampoo, hair oil, and everything in between is a finger tip’s length away, said products can seriously screw with your hair. Fret not, beauties. No one’s suggesting that you give up your dry shampoo (the horror!). But there is a little something to add to your hair care routine that will spare you a lot of heartache (aka bad hair days), and it’s stripping shampoo. Basically, a good stripping shampoo can make a life-and-death difference between good and goopy hair. Also known as cleansing and clarifying shampoos, these babies are designed to strip your locks of all the products that build up on your scalp over time. In a flash, these miraculous shampoos dissolve all the oils, residue, and other gunk that weigh down your ‘do and cause flat, dull hair. Translation: getting “woke up like this” hair just got *way* easier. Now, it’s important to note that stripping shampoos aren’t exactly for everyday use. For most, one wash per week is sufficient to rid your hair of any buildup (and less frequently if you’ve got naturally dry hair). Just be cautious of how often you’re using it, as overuse can actually strip your hair of the good stuff (like moisture!). Oh, and if you’ve got color treated hair, be warned: make sure to consult your hairdresser (or box coloring kit) before selecting a clarifying shampoo — you wouldn’t want to wash out any color! To help you figure out where to start, we rounded up 18 stripping shampoos for you to add to your beauty cabinet. There you have it! Now go forth with this knowledge.